Recover, renew, reupholster! 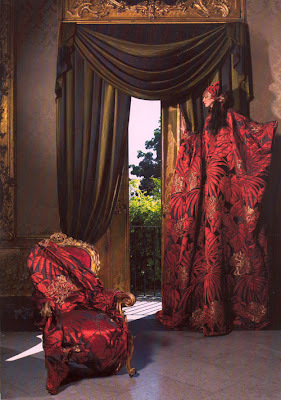 Bergamo designer textiles and fabrics are ready to change your impression of that sofa or chair you have been fighting to keep, you know the one where the fabric is shot but the rest is still good. Or you may be planning a ground up interior design project and really want to make a dramatic visual statement that only serious attention to detail will fulfill. 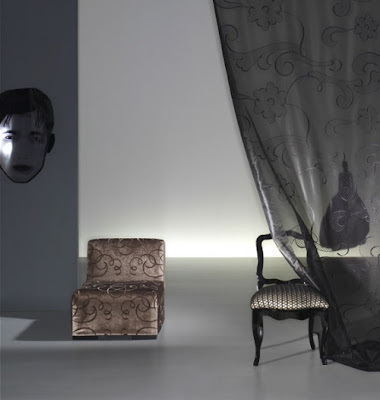 Bergamo understands and has collaborated with top designers like Lori Weitzner, Ulf Moritz, and Dominique Kieffer who have designed entirely different fabric concept all of which are stunning. 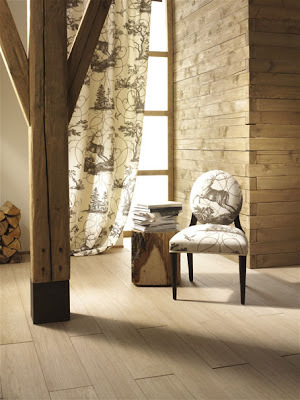 Here are a few of the Bergamo designer fabrics from their Rubelli and Sancho collections. I hope you get inspired!! -via LOVE IT!!!! !